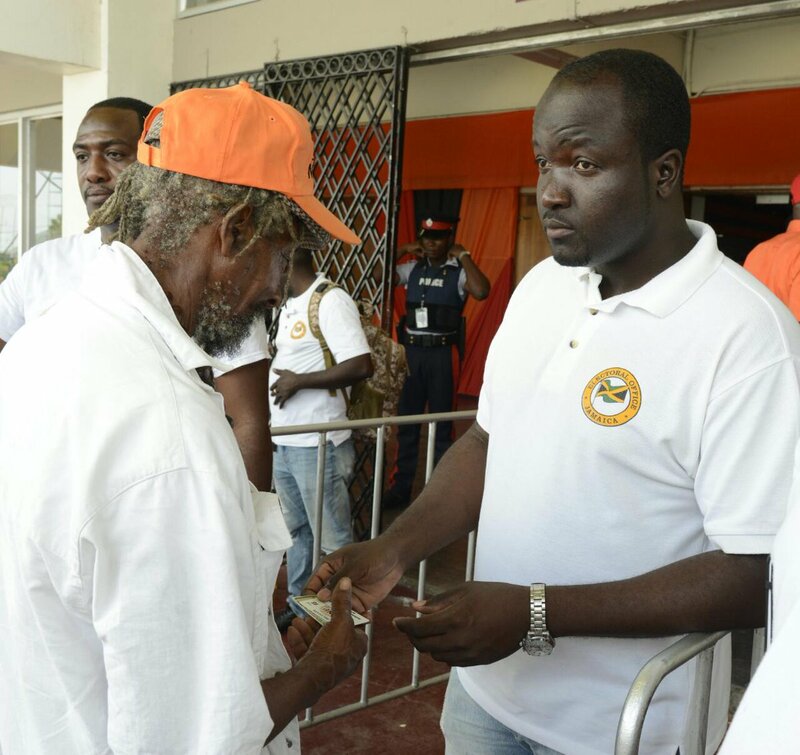 The National Arena in St Andrew is abuzz with activities as People's National Party (PNP) handlers seek to ensure all delegates cast their votes in the vice presidential race. Six candidates are vying for four posts. They are: incumbents Dr Wykeham McNeill, Dr Fenton Ferguson and Dr Angela Brown Burke and newcomers Mikael Phillips, Damion Crawford and Phillip Paulwell. Voting got under way at 10 o'clock this morning and will end at 4 p.m. IN PHOTO: An Electoral Office of Jamaica worker checks the registration card of a delegate before he enters the National Arena. It is expected that the winners will be announced by 6 p.m. Supporters, clad in orange, amid the daytime heat have been dancing to music blasting from sound systems even as they mobilise voters. Some 3,100 delegates are registered to vote today. 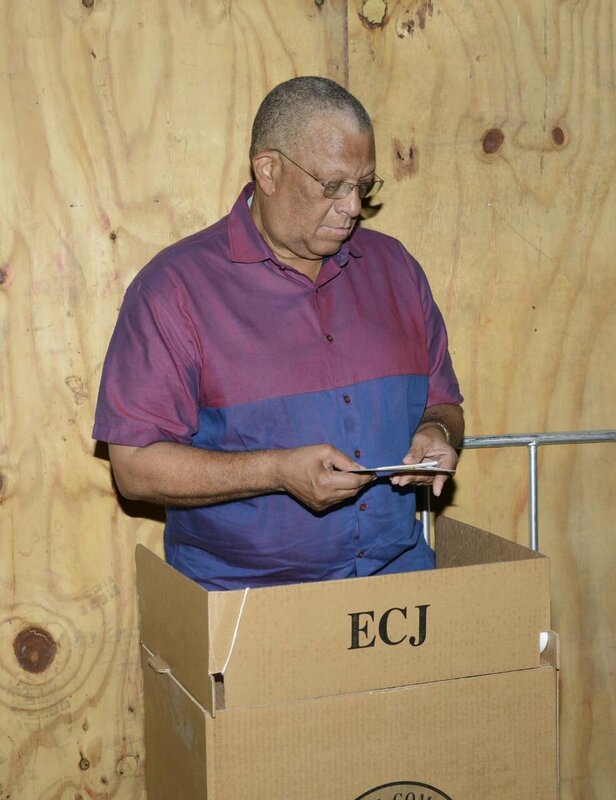 People's National Party president Dr Peter Phillips was among the early voters at the National Arena for the vice presidential elections today. He said he was proud of how the elections were being conducted and wished all candidates well. "Even for me it was a hard choice," said Phillips after casting his vote. His son, Mickael, is among the six contenders for the four posts up for grabs. The election is being administered by the Electoral Office of Jamaica.